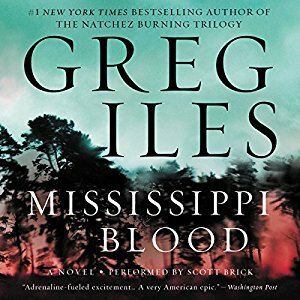 The final part of Greg Iles' Natchez trilogy takes place mainly in the court as the trial of Tom Cage finally begins. It is an excellent conclusion to the series as the description of the courtroom proceedings are some of the most dynamic and dramatic Iles has produced so far. Everything is shown through the eyes of his son, Penn, whose frantic attempts to understand what seems like self-destructive drive of his father and his lawyer. As new witnesses present their testimonies, the atmosphere thickens and becomes unbearable for the family. Two lengthy novels have left so many questions unanswered that being able to finally understand the motivations of main characters is very rewarding in itself. The author takes his time and presents them gradually. Despite this, I was still surprised by the final revelation of who was directly responsible for the death of Viola Turner, which set stage for the whole thing. The author also reflects on the nature of relationship between races as the trial shows that much of hatred and rage kept in check for years still exists. All of this played a huge part in what motivated the protagonists to act in a certain way. I found the descriptions of what happened in court truly captivating and many unexpected twists of plot kept it dynamic. However, I was a bit disappointed with final action segments. These seemed too chaotic and didn't make too much sense.